Hometown Toyota proudly introduces the 2017 Toyota Sienna. 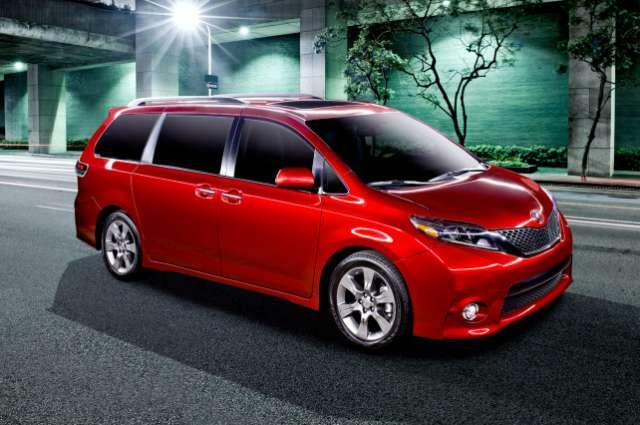 Check out the minivan offering all-wheel drive as well as seating for as many as eight people. In an ideal world the majority of us would probably drive powerful-exotic two-seats sports cars, but real-life rarely means such self-indulgence is practical or even possible. Many, many buyers need vehicles capable of accommodating more than the five people a sedan or any other two-row model can carry, which inevitably means looking for something with a third-row. Even then though, that usually means a maximum of six or seven seats, and sometimes that's just not enough. The choices when it comes to eight-seat capacity are limited, but that doesn't necessarily mean having to pay a fortune or settling for something lackluster. If you need to transport so many people, large or small, the 2017 Toyota Sienna should be the first vehicle you consider. Of course, the 2017 Toyota Sienna is minivan, and that does come with certain connotations for some people who haven't yet had the chance to fall for their charms. However, once someone who needs the kind of capability, versatility and capacity offered by a minivan gets to grips with the Sienna, they'll soon become a convert. Minivan drivers are among the most fiercely loyal vehicle owners there are; just try talking to one. It might take a little coaxing, or even a degree of capitulation at first to get them into one, but once they take the plunge, they'll more often than note stick with it. When the van in question is as good as the Toyota Sienna, the assimilation process certainly won't take long. The interior is what buyers choose minivans for, and they don't come a whole lot more spacious and versatile as the one here. In fact, the 2017 Toyota Sienna is one of the biggest minivans you can buy right now. There's an impressive 119.3 inches between the wheels and 78.2 inches between its track, the total length exceeds 200 inches long, and that all adds up to an overall interior volume of some 164.4 cu.-ft. 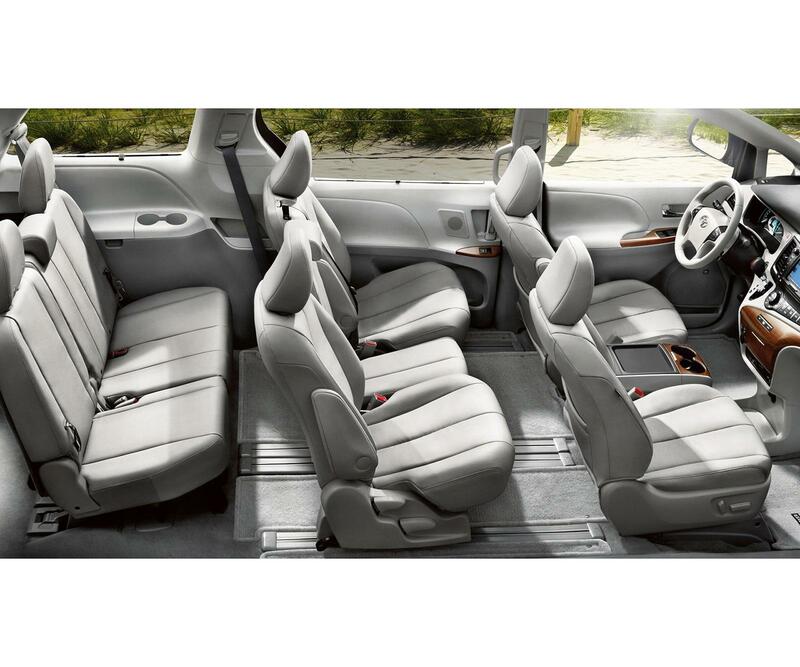 The seats are comfortable and supportive and there are more than enough cubby holes and storage spaces inside the Toyota. The third-row seats are not the child-only affairs offered by some rivals. Adults can be accommodated back there quite comfortably, and getting in and out of them doesn't require the loss of dignity some three-row vehicles ask you to put up with either. There are effectively eight different trims available with the 2017 Toyota Sienna, although three of them are Premium versions of existing trims. So, the lineup starts off with the L and then goes up through LE, SE, SE Premium, XLE, XLE Premium, Limited and finally to Limited Premium. That's a lot of choice, especially in this segments of the market, but things are kept a whole lot simpler when it comes to the powertrain. All models come with the same 3.5-liter V-6, but this impressive engine has been notably upgraded with direct injection for the 2017 model year, and the old six-speed automatic transmission has now been replaced by an eight-speed unit. The engine now develops 296 horsepower, which is 30 horsepower more than before, and it now produces 263 lb.ft. of torque, which is an uplift of some 18 lb.-ft. over the previous incarnation. But perhaps the biggest ace up the Sienna's sleeve is the availability of all-wheel drive, which is offered for all trim levels other than L, SE and Premium.